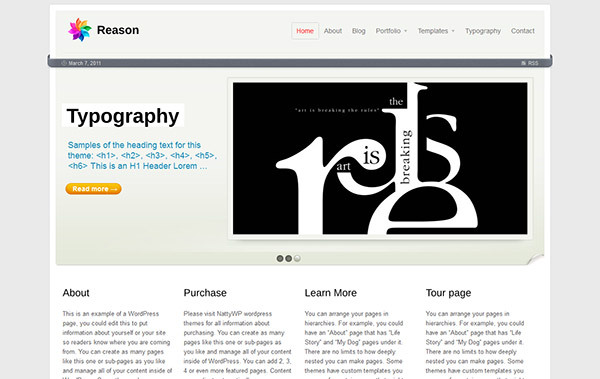 The professional theme Reason for WordPress is a powerful solution for your needs of a good-looking and functional template. It comes with an very customizable layout and jQuery homepage slider with 28 different staging effects, so you can easily modify the look and feel of the theme to suit whatever needs you have. It is also packed with advanced contact form, 20 custom Shortcodes, custom post type, lots of jQuery and 9 slightly different page templates to choose from. With the Reason premium WP theme you can easily and stylishly present the services or benefits of your company or products, no matter that they are. And the good clean look will not only focus the attention on what exactly you are offering, but will also help build confidence in your services or products in the customers visiting your website. 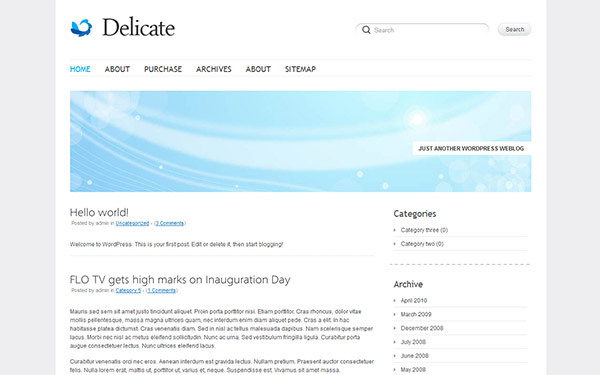 Delicate is a clean, minimalistic premium WordPress theme with a nice typography and professional structure available for free. Delicate was built on top of an advanced framework, so this wordpress theme is extremely customizable and can be used for a variety of needs. The Delicate premium wordpress theme can be used for either a personal blog, news website, business organization and so on, there are no limits in what you can further customize it to. The theme is compatible with all major browsers and will provide your future website with style and simplicity as if it was originally designed by a highly payed we designer when in fact you got all that for free. 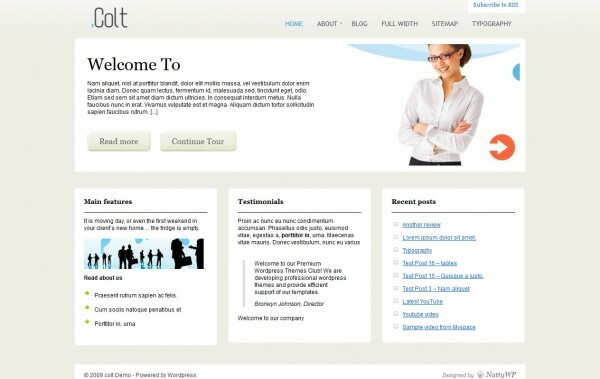 The premium Business WP theme Colt comes with a nice clean style and packed with a lot of features. It uses very customizable layout and comes with a number of useful widgets can help you make your company website modern and stylish. This wordpress theme with packed with all the goodness of a good business theme, so it will most definitely make the impact you need on your customers. You can easily change any of background and text colors, insert your own images and build an alternative unique style to better suit your vision and needs on how your business website should look and feel like. With the Colt wordpress theme you are able to quickly present a list of the top services or the currently on focus benefits of your company by using a pages scroller section on the home page. The Colt WP theme also comes with a SEO Optimized Layout with custom SEO settings that are easily accessible trough the admin panel. There is an automatic Image Resizer to dynamically create the thumbnails for the blog posts you publish, saving you some extra work. This premium theme also comes with an easy Banner and Adsense management, Site Statistics, and is fully compatible with the latest WordPress.